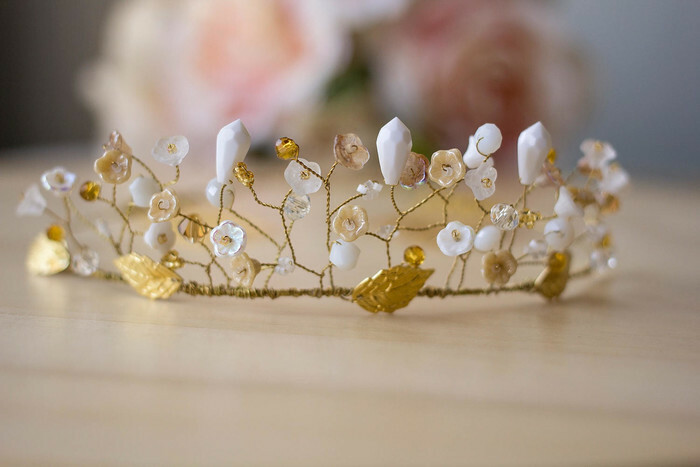 A stunning delicate free form tiara in beautiful tones of gold, cream and white. 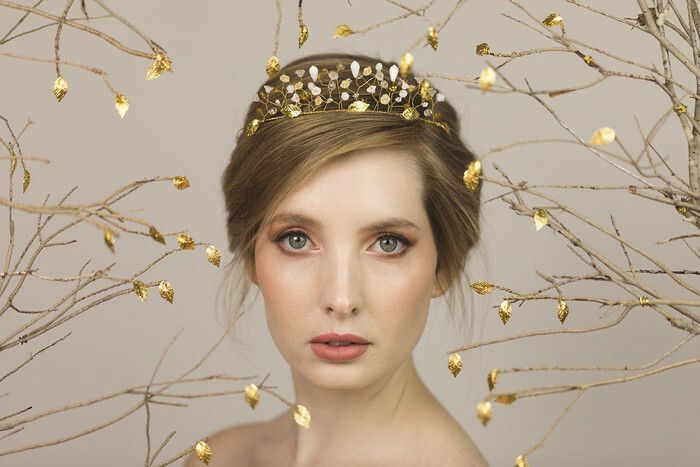 From the fine gold plated circlet wire tiara through to the individually hand twisted beaded branches that make up the 'flower garden' crown this design is completely handmade. 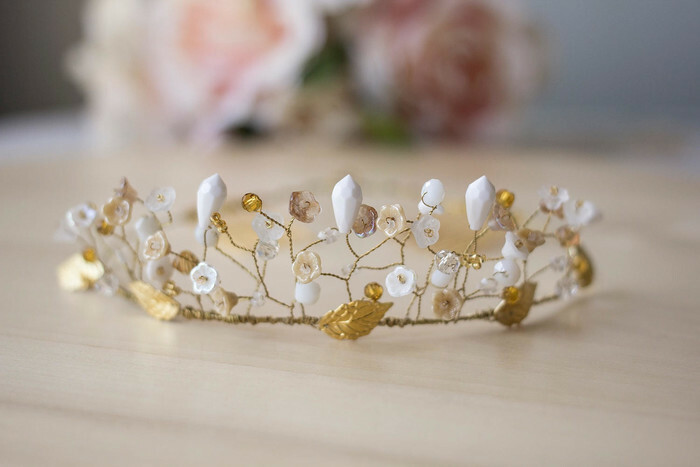 No two of my designs are alike, so you are sure to have a one of kind piece every time you make a purchase from my store. 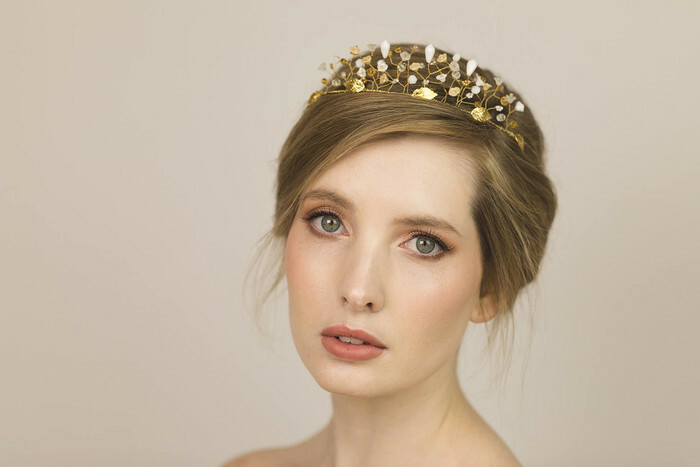 Finished with two gold plated combs at the back to assist in securing the tiara to your hairstyle. 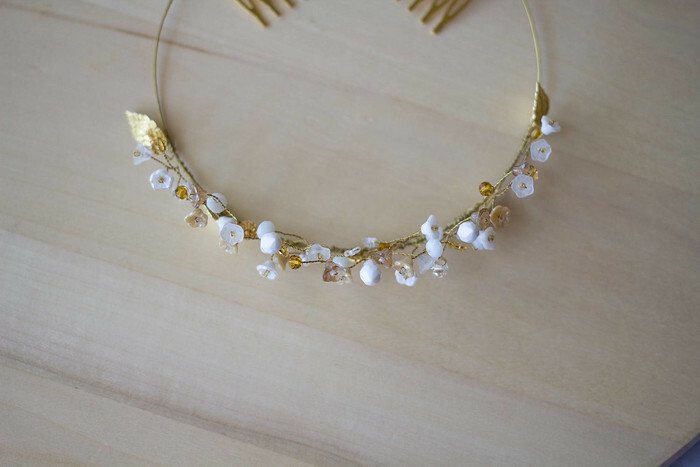 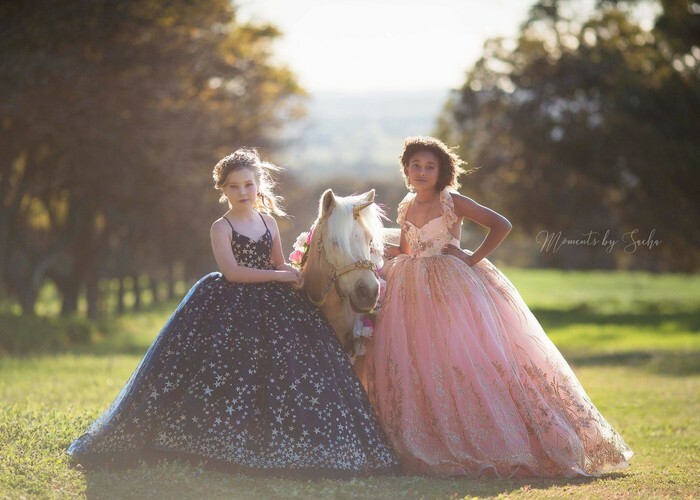 A truly unique and striking statement piece that will ensure the wearer stands out at any event!